Like the Sprinter, the Metris features a 7G-TRONIC® automatic transmission for quick shifting on Waikiki streets; however, unlike the Sprinter, the Metris relies on a 208-hp 2.0L turbo 4-cylinder engine. The Metris earns an EPA-estimated rating of up to 21 mpg city/24 mpg highway, and can be outfitted with ECO-START®/Stop technology for reduced fuel usage and emissions. Working alongside a MasterUpfitter, you can take full advantage of your Metris Van’s thoughtful design by adding as many practical accessories as you need. Despite their compact sizes, all Metris Vans can tow up to 5,000 pounds, giving you more options and greater peace of mind for your business. The cost-effectiveness of the Metris is due in large part to its flexible service schedules. You can opt for a service interval of up to 15,000 miles, saving you unnecessary service costs. The Sprinter owes its sprightly power to its BlueTEC® 2.1 turbo-diesel 4-cylinder engine, which generates 161 hp and 265 lb-ft of torque. Featuring an ultra-low first gear and two overdrive high gears, the 7G-TRONIC® automatic transmission offers enhanced acceleration and fuel economy. Inside the Sprinter, you’ll find everything from a 5.8-inch color display screen, to Bluetooth®*, to an iPod® interface – keeping you connected while on the job. 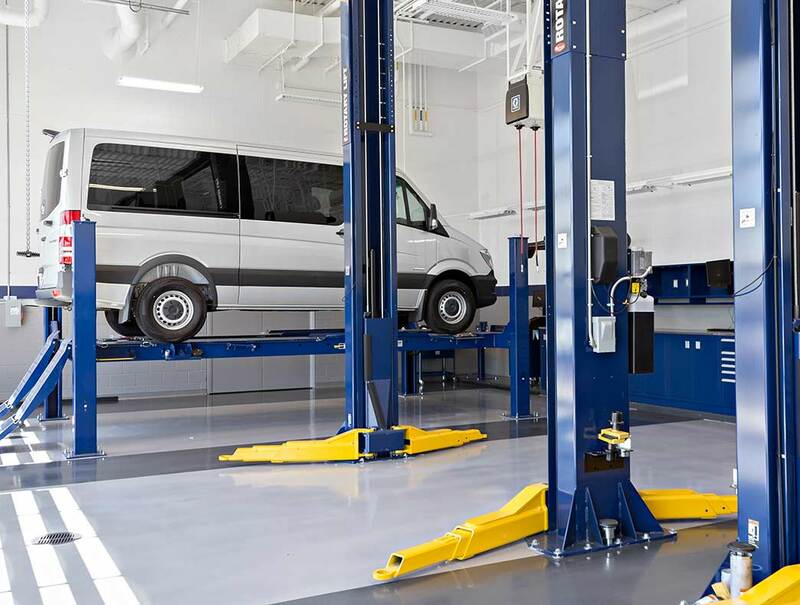 Your ongoing satisfaction is the goal behind the Sprinter, which is why it’s backed by a 3-Year/36,000-Mile Basic Limited Warranty, as well as coverage for the outer body and diesel engine. 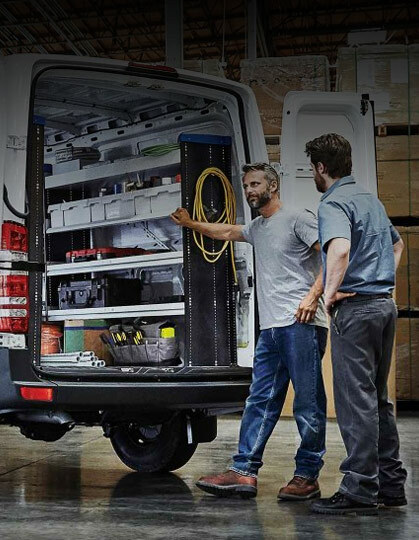 Standard on the Sprinter 3500 Cargo Van, the Super Single tire configuration uses a single-wheel rear axle to strengthen payload capacity without impeding cargo-loading capacity. Starting at $25,995, the Metris Worker Cargo Van astounds with fantastic capacities, including a maximum payload of 2,502 pounds and a towing capacity of 5,000 pounds. The Metris Cargo Van – starting at $28,950– shares its specs with the Worker; however, what sets it apart are its rear door configurations, exclusive exterior colors, and a wood floor with built-in D-rings. Accommodating through and through, the Metris Worker Passenger Van, which starts at $29,995, seats up to seven people and provides 38 cubic feet of free cargo room. Like the Worker, the Metris Passenger Van – starting at $32,900 – also offers 38 cubic feet of cargo space, but bumps its seating capacity up to 8, and includes heated rear-door windows and wipers. Capable of towing 5,000 pounds and hauling up to 3,512 pounds, the Sprinter Worker Cargo Van – starting at $32,495 – offers anything but light capacities. 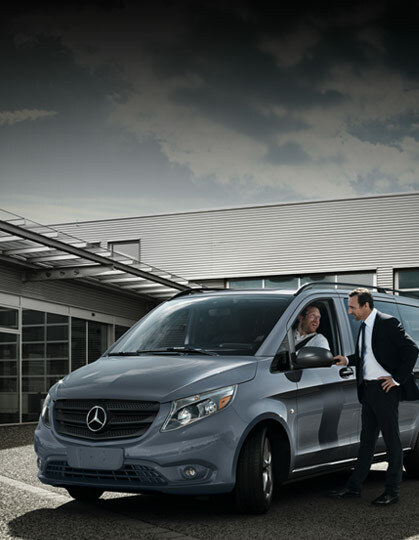 The Sprinter Cargo Van, which starts at $36,495, is available in 2500 and 3500 variations, and wows with its maximum cargo capacity of 586.1 cubic feet. If you need room for 12 passengers, the Sprinter Passenger Van – starting at $40,745 – delivers, and even offers up to 190.3 cubic feet of cargo volume. Starting at $39,170, the five-passenger Sprinter Crew Van has an interior standing height of 75.4 inches, letting your team freely access its spacious cabin. The strong and versatile Sprinter Cab Chassis – starting at $36,095 – tows up to 7,500 pounds and includes a flat frame and two wheelbase options for easy configuring. With a wheelbase of 170.3 inches, the Sprinter Minibus is a large, spacious transporter with four predesigned configurations: Commuter, Airport, Hotel, and Paratransit. 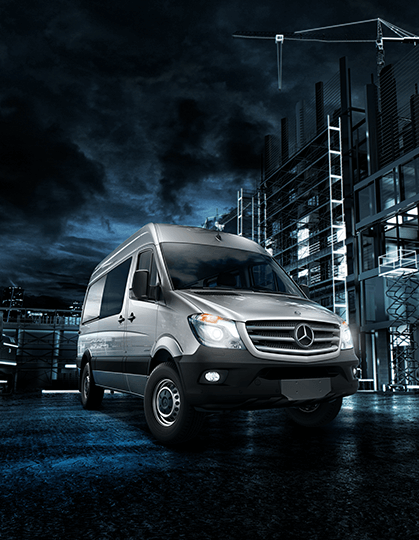 Boost Your Business with the Sprinter or Metris! 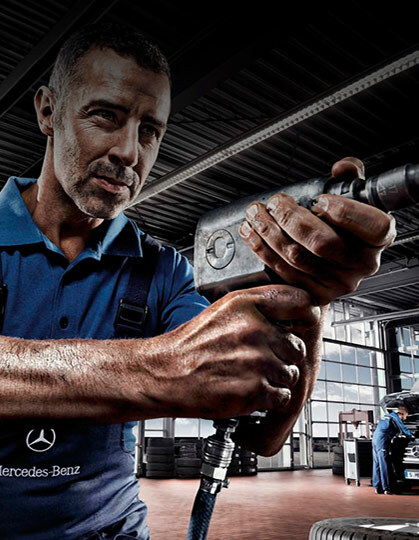 For a wide selection of Sprinter and Metris vehicles, as well as Mercedes-Benz Certified service, visit Mercedes-Benz of Maui! We’re conveniently located at 69 Hobron Ave in Kahului, HI – only 25 minutes from Waipahu. If you have questions about our new vehicle inventory, or commercial vehicle services, contact us today!